Serzh Sargsyan, the former president of Armenia, was elected the Prime Minister on Tuesday, local media reported. His candidacy was promoted by as the ruling Republican party; during today's parliamentary session, 77 MPs supported him, 17 voted against. 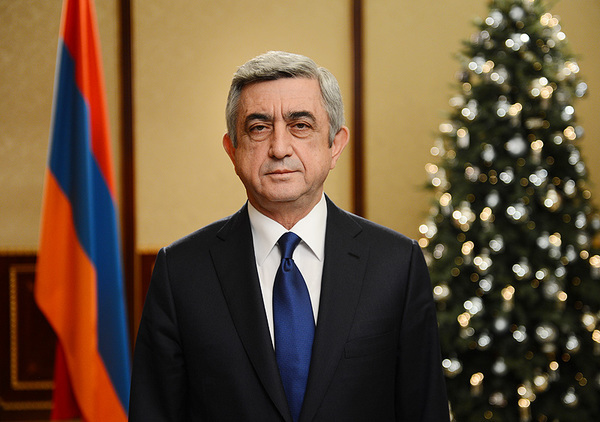 The Premier's election took place first time since the constitutional changes in the Armenian basic law took effect. The government is due to be shaped with the 15-days-long period. Within the five-days-long period, the prime minister should send the president his candidates for respective offices. The President either appoints vice premiers and ministers or turns to the Constitutional court. The Cabinet should consist of the Prime Minister, First Vice Prime Minister and two Vice Prime Ministers, as well as 17 ministers. The election took place amidst the street protests in Yerevan, the capital city of the country. The protesters blocked the car traffic in the downtown, while the leader of 'Civilian Agreement' opposition party Nikol Pashinyan claimed that the 'Velvet Revolution' began. The police detained 80 activists who allowed administrative violations. The protests kicked off because of the constitutional reform, which changed the system of government; the presidential republic turned into the parliamentary republic. The Prime Minister became the key official in the state, which evoked the outrage of political activists. » Armenia's new PM is a top-manager of Russian "Gazprom"